Nintendo could have never predicted the glowing reception of Fire Emblem in the US. After Super Smash Bros. Melee, fans worldwide were clamoring for more of the mysterious Roy and Marth. Unbeknownst to many fans however, they already had an incredibly successful franchise for many, many years. Japan got their first Fire Emblem game in 1990 -- it took us 13 years to get one (14 for you Europeans). 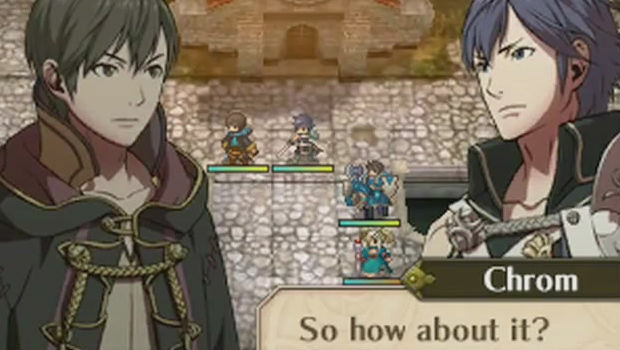 Now, we're all the way in 2013, and we're about ready to receive the latest game in the series, the 11th original Fire Emblem title -- Awakening. Unlike most of the other games in the series, you're put in the shoes of a customizable (non-silent) protagonist. There's only a few options for customization (gender, build, face, hair) but since your character also gets an illustrated anime rendition in addition to an in-game model, I was more than ok with the small amount of options. Part of the reason for said concession is because, simply put, the art of Awakening is beautiful. During most of the game's story sequences, art will be shown in the form of still drawings with text to move the narrative forward. Almost every character in the game manages to feel unique, and has a special personality to go along with it. Intelligent Systems did a great job with this one, character wise. While the hand-drawn visuals are most prominent, Emblem frequently switches between three different artistic flavors, and not all of them are created equal. 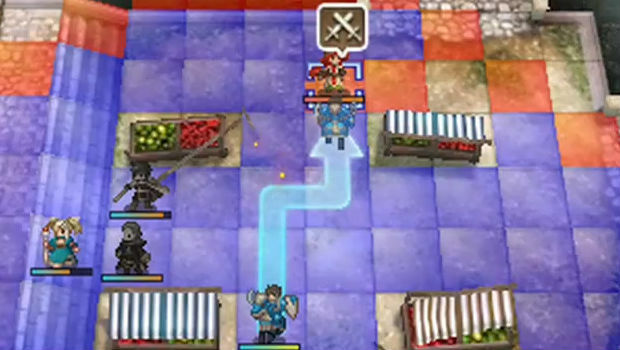 As well as the 2D stills, Intelligent Systems also utilizes 2D overworld graphics as well as 3D character models. The minimalist style on the world map and in combat involves a pretty plain view with very little detail. It isn't a big deal to me personally as a giant SRPG fan, but I can see a lot of people being turned off by the notably archaic combat view. It's just something to be aware of. The 3D models are a bit hit or miss. When the game opts to use in-game models, either during skirmishes or menial cutscenes, they don't look like they're using the full capabilities of the 3DS, and some of the models seem to be afflicted with the tiniest feet ever. Nevertheless, they remain markedly better than previous 3D Fire Emblem releases, and they don't necessarily detract from the experience. When it comes time to actually start the game up, you'll have the option to choose between Normal, Hard, and Lunatic difficulty levels, as well as the Casual or Classic (perma-death) mode. People who are acclimated to SRPGs should immediately start on Hard, as Normal is a tad on the easy side (at least until halfway into the game, when the difficulty basically doubles). On a combination of Casual and Normal, you won't really need to grind at all using the game's optional world map encounters. When I say "optional," I really mean it, as you don't spark frustrating random map encounters while trying to get places. Of course, Classic is the way to go if you want the game to have more of an emotional impact when it comes to losing your favorite troops forever, and you can still choose from the Normal, Hard, and Lunatic settings if you're particularly brave. Starting your first game on Casual will be difficult enough if you opt for anything above Normal. I don't want to spoil the finer points of the game's story, but the overall narrative involves yourself, a noble Prince named Chrom, and his rag-tag band of "Shepherds," who seek justice for the land. Chrom slowly becomes your best friend and confidant, as you work your way towards the position of a Commander-In-Chief of sorts, working for Chrom's just and noble kingdom. Of course, it wouldn't be a Fire Emblem game without multiple antagonists and warring kingdoms, so you'll have to deal with constant curve-balls, twists, and the occasional betrayal from time to time as you work towards your goal. If you've never played a Fire Emblem game before, think of the book series A Song of Ice and Fire -- with all of the warring powers with different goals -- and you'll have an idea. Overall, the story works pretty well. It isn't groundbreaking, but the dialogue is written well enough that it should keep you going, and the twists and intrigue involved in the narrative keeps you enthralled throughout the experience. The intricacies in the story are very much a product of your choices in combat and in conversations off the battlefield, so playing on Classic will enhance the experience tenfold, as you find out what happens when key characters are no longer there to help you complete your quest. 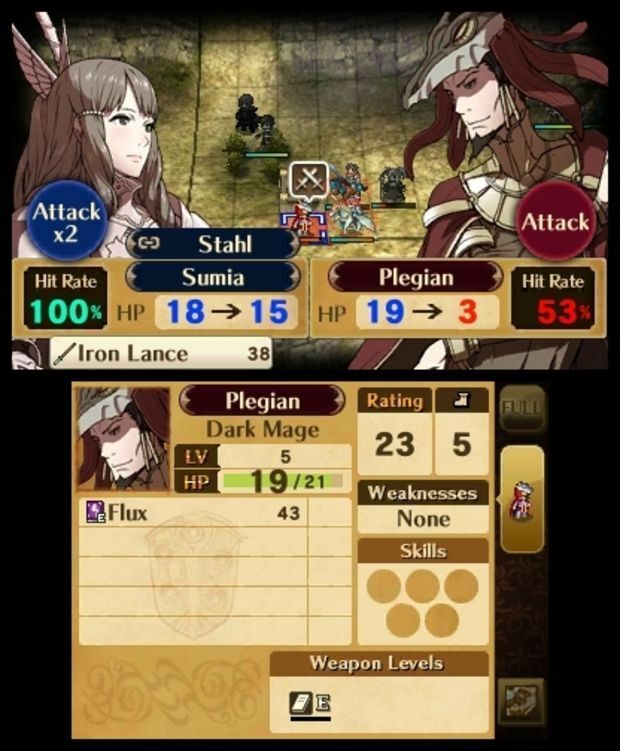 There's no need to fret over the prospect of losing party members: there are a lot of concessions in Awakening that make it extremely accessible beyond the game's Casual mode. For instance, you have the ability to see the story so far at nearly any time, and view all of the dialogue in a particular scene by pressing the R button to bring up a transcript. In a brilliant design move, Awakening gradually teaches you how to interact with its world with the use of in and out of combat tutorials.The tutorials themselves are extremely unobtrusive (and can be skipped or ignored entirely on the bottom screen), yet extremely helpful. Speaking of unobtrusive, there are no forced touch or gyro implementations afoot here -- just classic controller based gameplay. Combat is pretty deep, as the classic "swords beat axes, axes beat lances, and lances beat swords" rock, paper, scissors gameplay returns. Of course, there are bows and magic as well, and every single weapon type has a large number of options at your disposal. 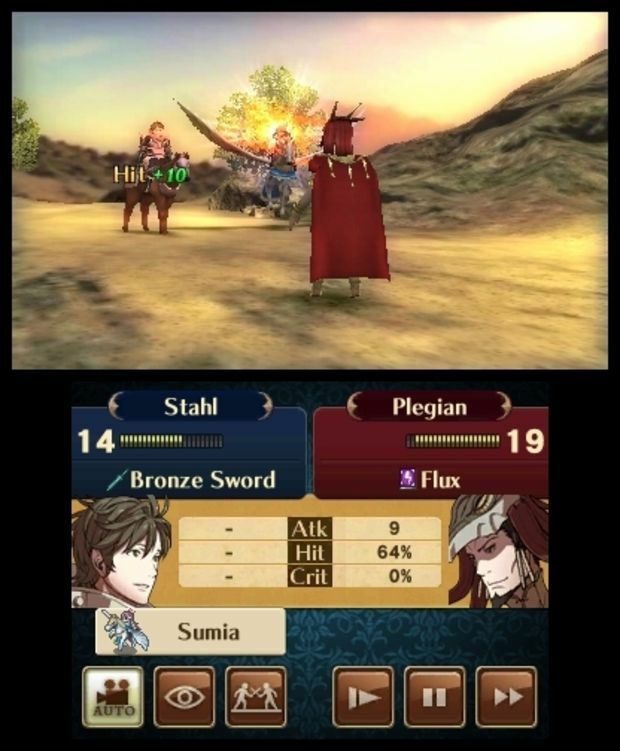 When you're in combat, Awakening gives you a number of tools to customize the game experience to your liking, whether it's massive changes to the battle overlays, battle speed, or interface customization. Each skirmish in combat can be either speed up by holding the "A" button, or skipped entirely by pressing "Start" -- so you don't have to watch every single fight painstakingly play out. 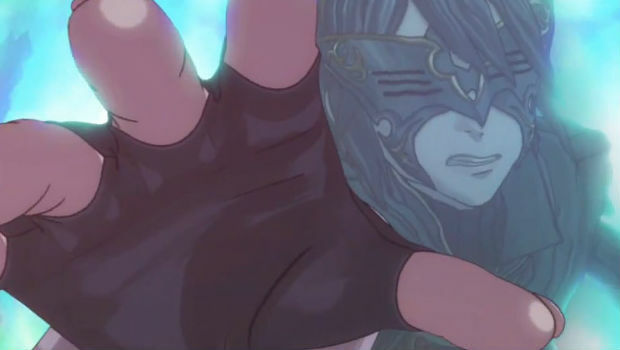 While most SRPGs tend to have these options, Awakening offers more than most, and it's extremely welcome. When you're waiting for your next mission and exploring the world map, you can access a host of options, like party conversations (think Dragon Age), party management and the like. The support conversations won't blow you away or anything, but it's a nice option to learn more about the party members you care about, and they're almost always charming. Some of the dialogue, while I wouldn't consider it quite "scandalous" is pretty suggestive, and often, hilarious. Eavesdropping in the barracks will net you extra XP and bonuses, which is a nice touch to entice people to get more out of the game's cast. You can also view back-stories in the Barracks, and the amazing thing is every character (there's a lot) has some sort of small introduction. At the end of the game, you'll also get an epilogue section for every character, which is a series staple, but much appreciated nonetheless. Oh, and it totally has full Japanese and English dialogue tracks available -- both of which are stellar. The story is around 20-40 hours long (it took me about 25), but there's so much to do that you most likely can't experience everything in one playthrough. In fact, right after I beat the game the first time on Normal, I started another one on Hard with another avatar to see how different it could be. There's no New Game+ option, but some stats do carry over into subsequent games. After completing the massive campaign, you can go back through on a different difficulty, wander around the world and attempt to complete all the game's sidequests, play around with the game's attraction ranker, mess with the spotpass functionality, or tackle future DLC maps. There's just so much content packed into this tiny cart it's crazy, so don't be turned off by the prospect of DLC. Speaking of DLC however, although there isn't a hard release schedule for it, DLC in some form is confirmed for release outside of Japan, so expect some coverage from us when the time comes. In fact, it stands to reason that all of the near-17 downloadable characters (including Roy and Marth) and the roughly 25 DLC chapters will be released outside of Japan, which should keep you busy for weeks.